Are You Planning A Kenya Safari To Sibiloi National Park? Scroll Down..
Sibiloi National Park shares the waters of Lake Turkana and covers 606 square miles (1570 square kilometers) of breathtaking scenery. The establishment of the park is partially credited to the National Museums of Kenya to preserve the lake shore, its archeological sites as well as portions of the desert bush country. 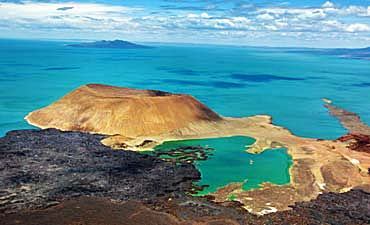 Lake Turkana is the only water source in the park. Sibiloi was established in 1973 to protect and preserve some of the most significant archaeological sites on the planet, as well as ecologically-significant animal and plant species. The natural, cultural and historical assets of the park have been recognized by UNESCO as a World Heritage Site. The geological features and proximity to Lake Turkana make Sibiloi Park an unspoiled site for preserving fossils and pre-historic artifacts at Koobi Fora. The impeccable treasure trove of human history is complemented with a spectacular variety of flora, such as commiphora woodlands, euphorbia and desert roses. During your intriguing tour of Kenya’s Sibiloi, we recommend that you visit the Koobi Fora Museum, as well as the varied archaeological sites in the park. Many of these sites have revealed remnants of human history that lend to the area’s well-known label as the “Cradle of Mankind.” Some of the most groundbreaking fossilized finds were the giant tortoise remains of 3 million years, skeleton of an elephas recki – a forebear pachyderm, 45-foot long crocodile named “Behemoth” and the prized Turkana Boy, which is available to be privately seen via AfricanMecca at the Nairobi National Museum. 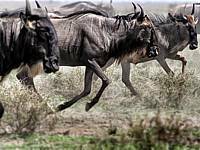 Wildlife experiences are limited when compared to other safari destinations in Kenya, but you may observe grazing and foraging herbivores, such as grant’s gazelles, hippos, reticulated giraffes, greater kudus, beisa oryxes, topis, to name a few. Land carnivores are also rarely observed, and the world’s largest population of Nile crocodiles is found on the North, Central and South Islands of Lake Turkana. Sibiloi offers fine opportunities for your birding safari in the Northern Frontier, as more than 350 avi-fauna species have been recorded in the park, including flamingos, pelicans, herons, ducks, skimmers and many more. The Northern Frontier has varied wildernesses, each with a distinct accommodation. 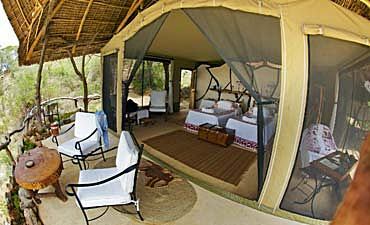 In Lake Turkana, we recommend Lobolo Camp. 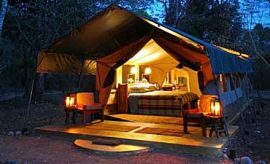 Namunyak only has two camps: Sarara and Kitch. Desert Rose is sited on Mount Oldonyo Nyiru. There are several activities on offer in the Northern Frontier depending on where you are staying e.g. 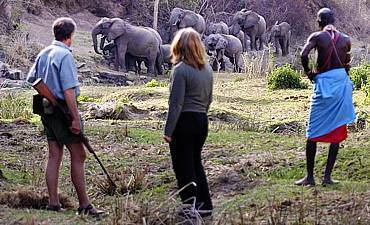 game drives, bush walks, cultural visits, desert explorations, archaeological tours, camel rides, fishing and many more. 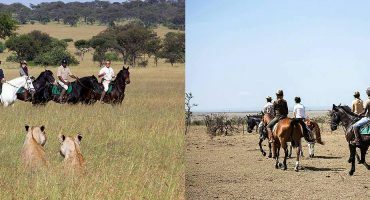 The climate in the Northern Frontier is less similar to other locations that you may visit during your Kenya wilderness safari. Daytime temperatures remain high throughout the year. Annual precipitation is low in comparison. 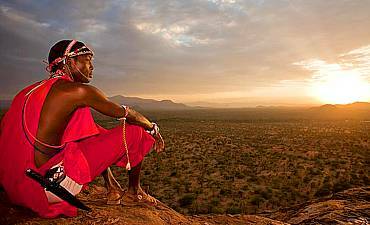 When visiting Northern Frontier, we recommend combining your safari with a visit to Amboseli and Masai Mara. 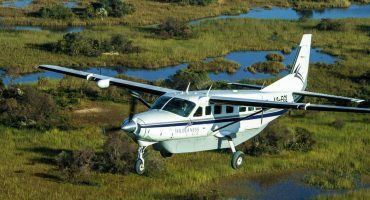 You may optionally extend out to other wilderness areas of Meru or Tsavo ending with a beach vacation and Swahili cultural tour in the exotic spice island of Zanzibar or Lamu, or even Mombasa. 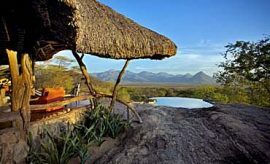 ARE YOU PLANNING AN AFRICAN SAFARI TO NORTHERN FRONTIER IN KENYA? 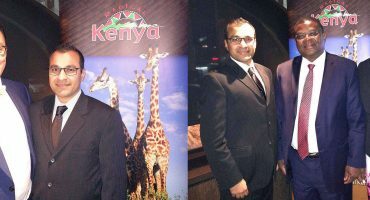 HAVE YOU VISITED NORTHERN FRONTIER FOR AN AFRICA SAFARI IN KENYA?